The exhibition is a journey through the last ten years of ZimmerFrei’s work, with an emphasis on the observation of the plasticity of the landscape. A cinematic resonance is immediately recalled at every “frame” of portions of land, at the perceptive transfiguration of portions of the world into raw materials: sounds, optical illusions, fragments of time and fragments of movement. ZimmerFrei is a collective of artists (Massimo Carozzi, Anna de Manincor, Anna Rispoli) based in Bologna and Bruxelles, whose complex practice is located on the crossways of cinema, theater, music and performance. 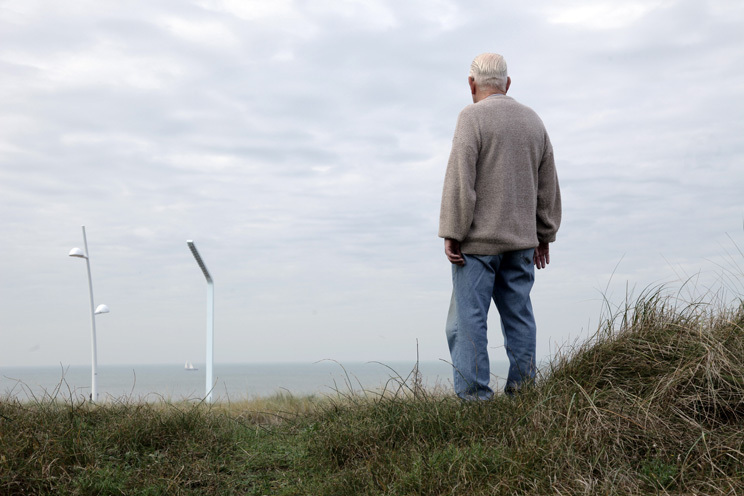 In 2015 ZimmerFrei will develop several projects in the Netherlands, including the making of a film on the island of Terschelling (produced by the Oerol Festival). ZimmerFrei’s work has been exhibited at galleries, festivals, and museums internationally including Wiels (Bruxelles), Auditorium Parco della Musica (Roma), MAMbo (Bologna), BNA/BBOT (Bruxelles), C/O Careof (Milano), MAN Museum (Nuoro), Fondazione Sandretto Re Rebaudengo (Torino), Vooruit Arts Centre (Gent), Manifesta 7 (Rovereto), Stenersen Museum (Oslo), Budapest Architecture Film Days (Budapest), Thessaloniki Documentary Film Festival (Thessaloniki), Vision du Rèel - Festival international du cinéma documentaire (Nyon), VideoEx - Experimental & Video Festival (Zurich), Oerol Festival (Terschelling), Arquiteturas Film Festival (Lisbon), Biografilm Festival (Bologna), Torino Film Festival (Torino) and more. Marco Nember (Brescia, 1977) is founder and director of Stichting Blue439. He’s based in Amsterdam since May 2009. He collaborated with the Italian Institute of Culture (Amsterdam), Goethe Institut Niederlande (Amsterdam), Kunsthuis SYB (Beetsterzwaag), Kunstverein (Amsterdam and Milan) and Vlaams Cultuurhuis De Brakke Grond (Amsterdam). From 2014 he began to curate a video art program with related artist talks at the Italian Institute of Culture in Amsterdam. He is curator of ‘Directions - European Video Art Screenings and Artist Talks’ in collaboration with De Appel arts centre’s director Lorenzo Benedetti and several members of EUNIC, the European network of national institutes of culture.